Sometimes we read the news and just shake our head in disbelief. French outlet Le Parisien, translated by the Mirror, claimed that PSG were looking to sign Fabinho on loan from Liverpool this January. They stated that the Brazilian is bored due to a lack of playing time and PSG’s Sporting Director Antero Henrique plans on making an approach. But the 25-year-old was our Man of the Match against Red Star in the Champions League and was arguably just as impressive in the Premier League win over Cardiff. 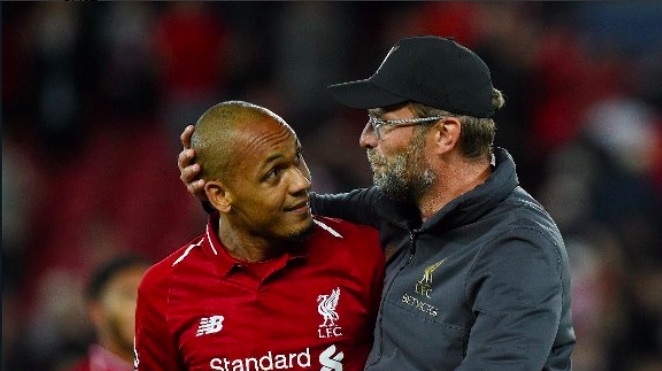 We can absolutely guarantee, 100%, that Jurgen Klopp wouldn’t even consider for one minute the possibility of loaning out one of his marquee summer signings, having put so much work into getting Fabinho tactically up to scratch. Allowing Fabinho time to get up to speed has enabled his superb performances and the idea that we’d simply give away the midfielder halfway through a potentially defining season for our football club is bizarre. Who gets paid to come up with this stuff?